For sure, everyone is familiar with this rainbow-colored building toy. It is not just played by kids. A lot of adults are also interested in playing with these interlocking plastic bricks and an accompanying array of gears, mini figures and various other parts as these could be assembled and connected in many ways to construct vehicles, buildings, and even working robots. We are talking about lego bricks. 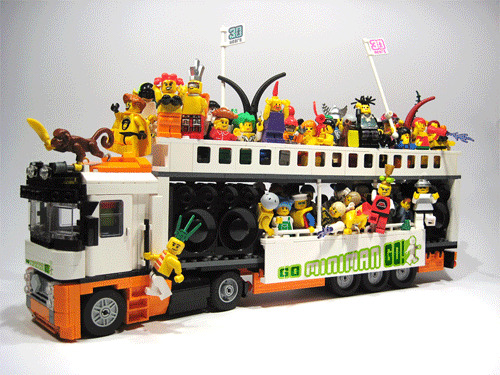 Lego is a line of construction toys manufactured by a company based in Billund, Denmark. 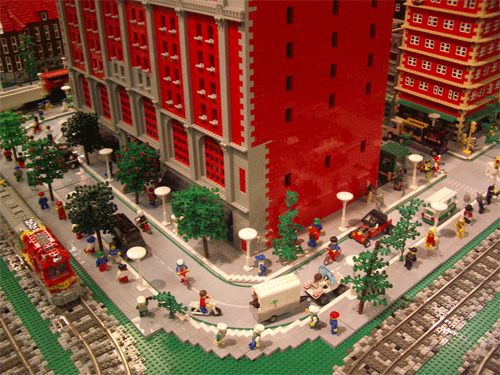 Check out our inspiring post of amazing and cool creations that truly talented Lego-maniacs make. 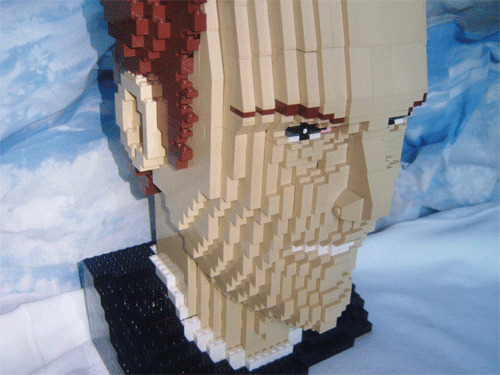 Here are the 30 Impressive Creations Made from Lego Bricks. Please look into some childish yet very creative Lego artworks from our talented and creative designers. 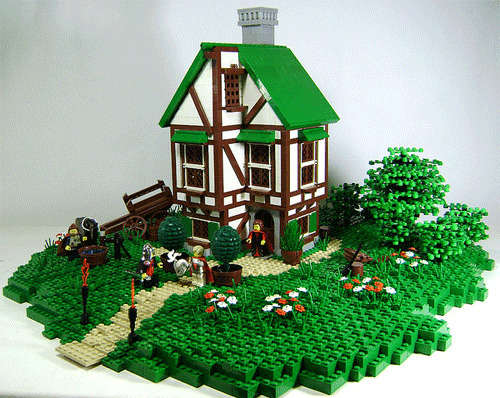 Be amazed at these lego creations. 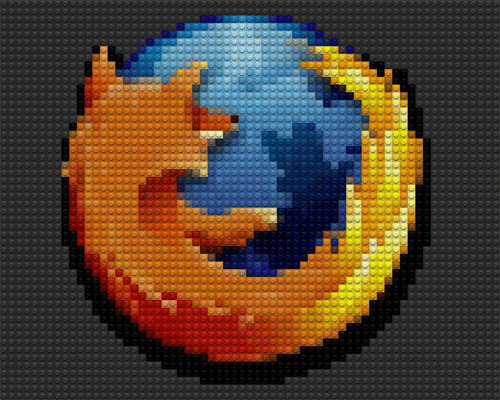 Lego art inspired by Mozilla Firefox logo. 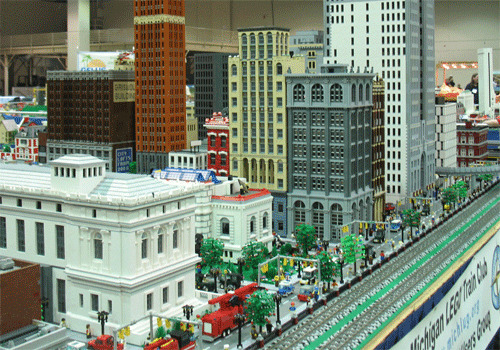 A 30 x 40 foot display Michigan Lego Train Club that includes many Detroit landmarks such as Detroit Cultural Center, Detroit Public Library and Detroit Institute of Arts. 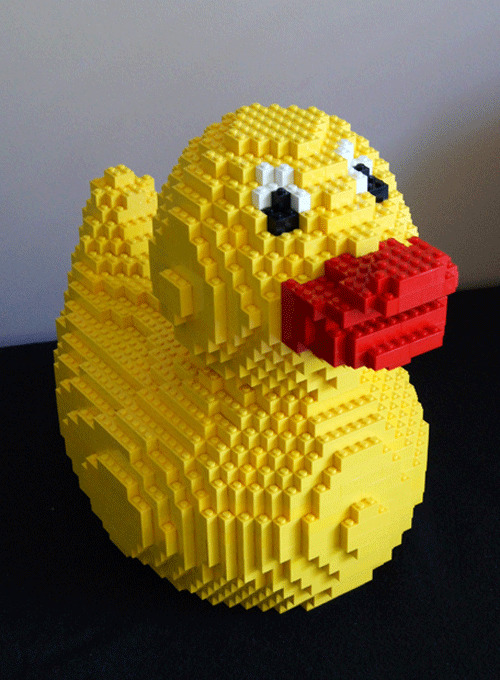 A Lego art design inspired by a baby duck. 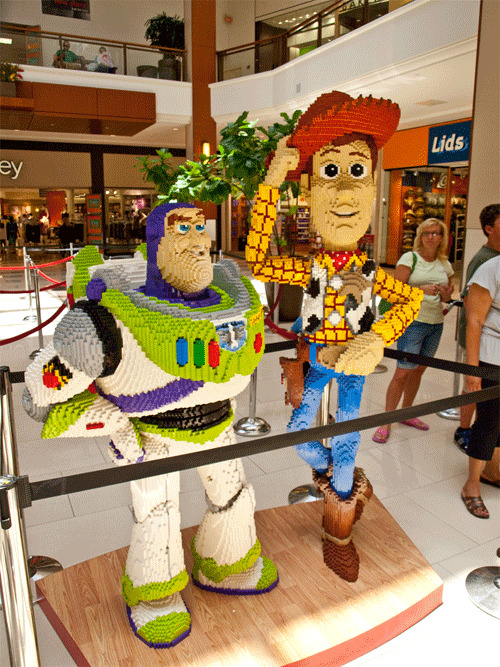 Lifesize Lego display of Toy Story’s main characers Buzz and Woody in Aventura Mall court outside the Lego Store. 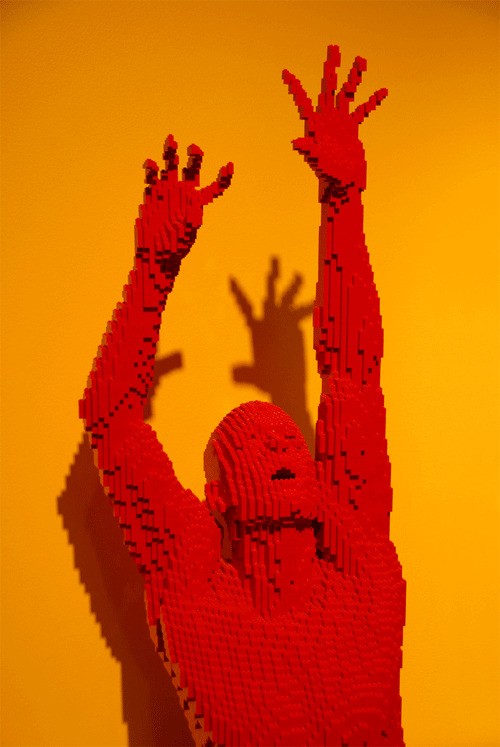 LEGO sculpture by artist Nathan Sawaya from his exhibit at the Strong Museum, Rochester, New York entitled “The Art of the Brick”. 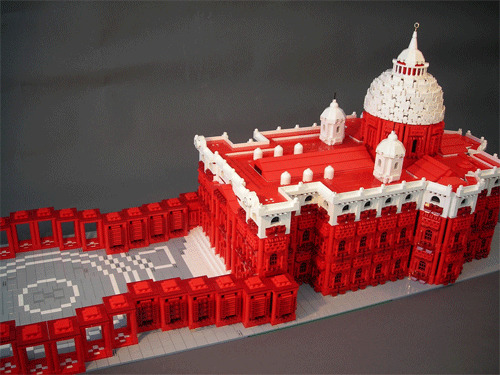 Lego art design inspired by St. Peter’s Basilica church in in Rome, Lazio, Italy. 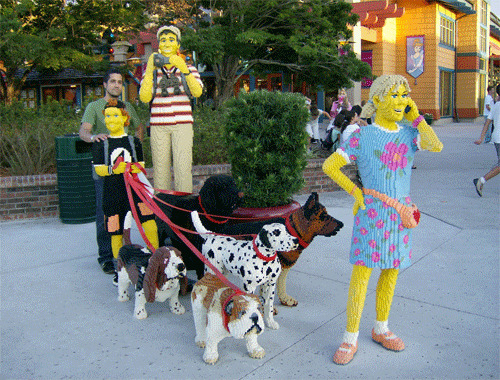 A Lego art of a family displayed in Downtown Disney. 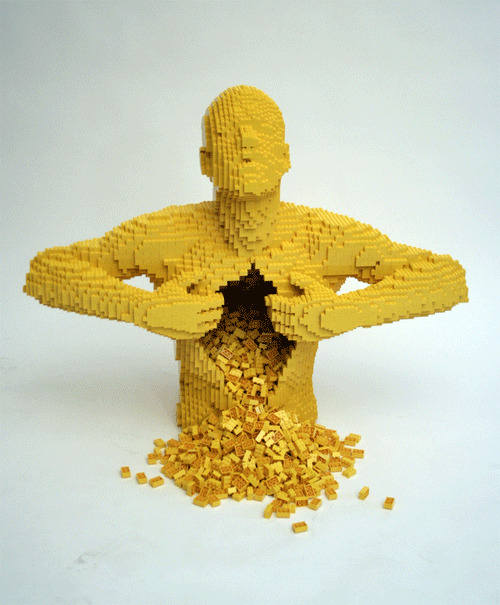 LEGO sculpture by lawyer-turned-artist Nathan Sawaya. From “The Art of the Brick” exhibit at the Strong Museum, Rochester, New York. 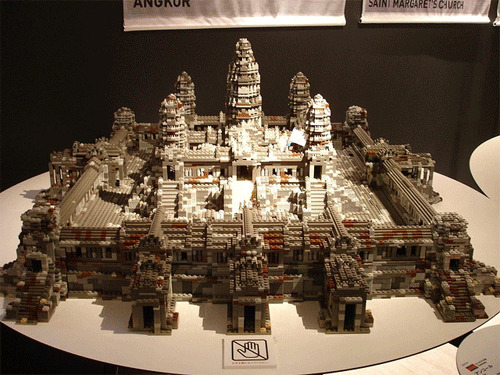 Ankor Wat was built as a part of a traveling exhibition, featuring Lego art and World Heritage Sites. 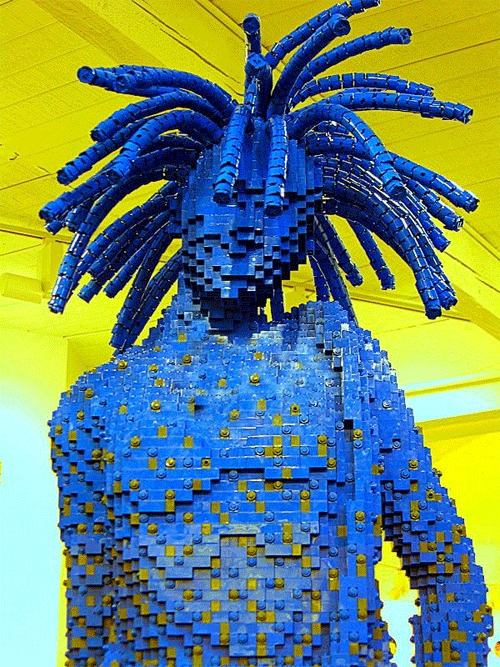 About 15,000 lego pieces make up of this approximately 7-foot tall sculpture. 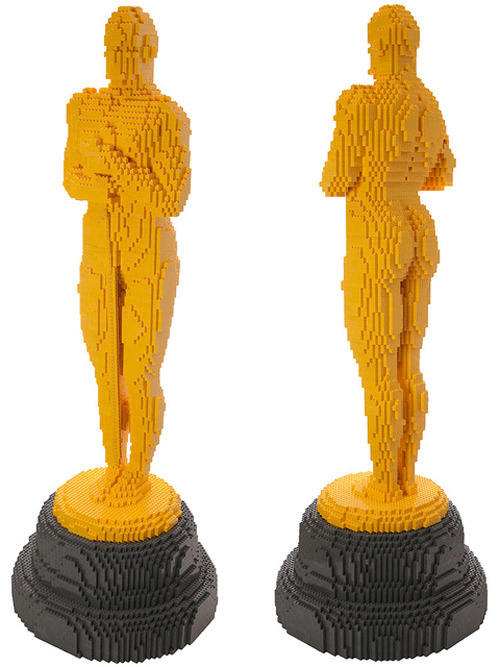 This Lego Oscar sculpture stands 125cm tall ( 4 ft 1¼ ) and is comprised of thousands of bricks. Chuck taylors all stars converse sneakers. This montain contains approx. 80 000 Bricks. 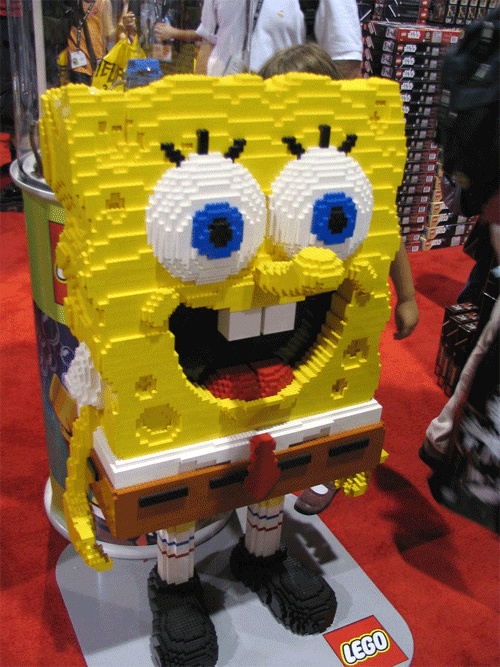 A lego art inspired the famous animated series Spongebob Squarepants. 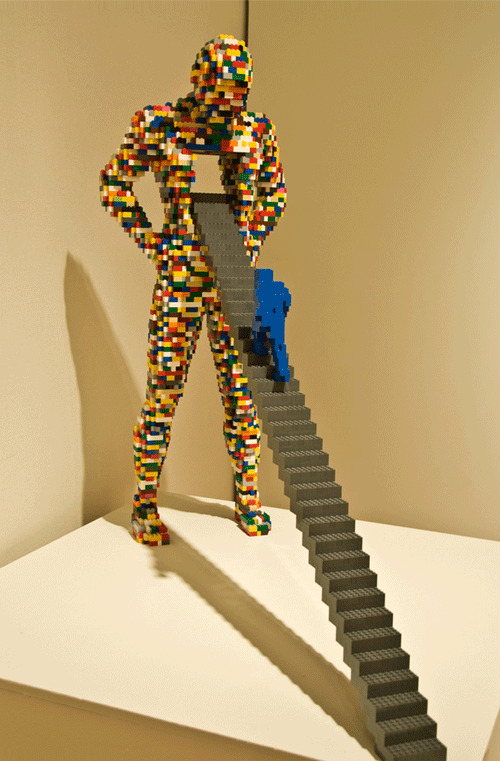 This Lego sculpture is from the Nathan Sawaya exhibit at the Flinn Gallery in Greenwich, Connecticut. 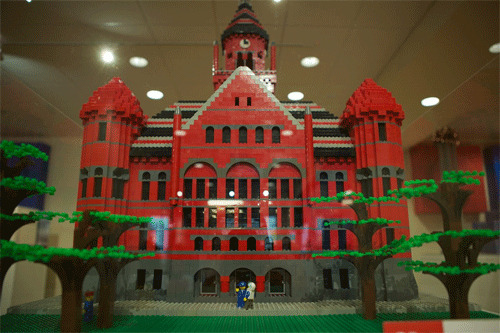 A lego design inspired by Art Center of Battle Creek. 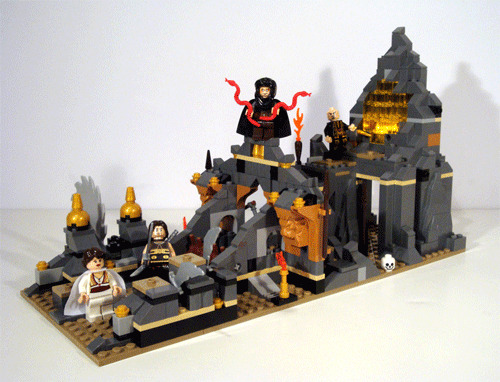 A finished lego art model inspired by the movie ‘Prince of Persia’. 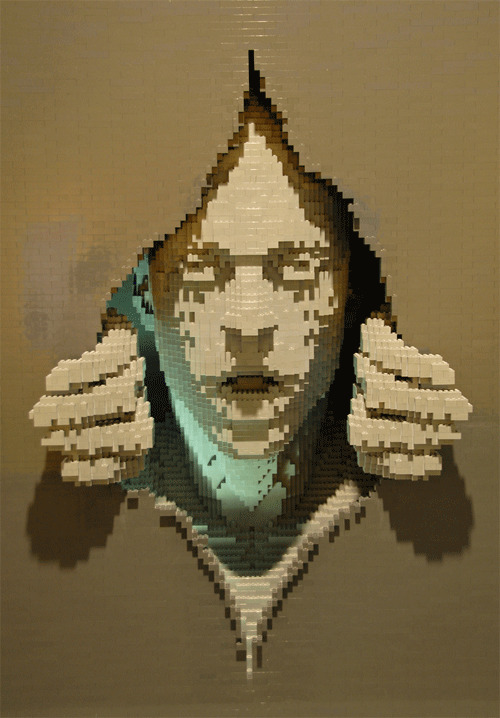 A 35″ x 13″ x 28″ sculpture made from LEGO bricks. 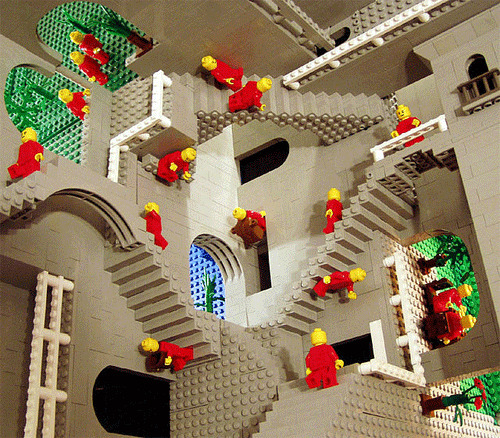 This great concept is from www.andrewlipson.com/escher/relativity.html. 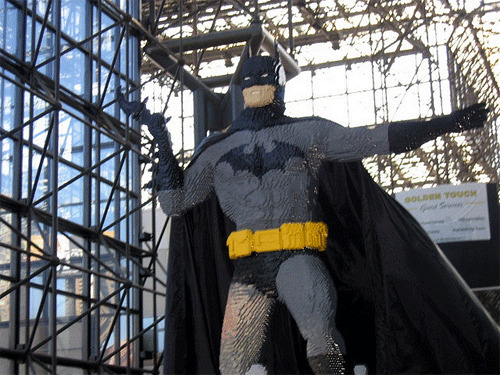 A lego art inspired by the famous fictional character ‘Batman’. 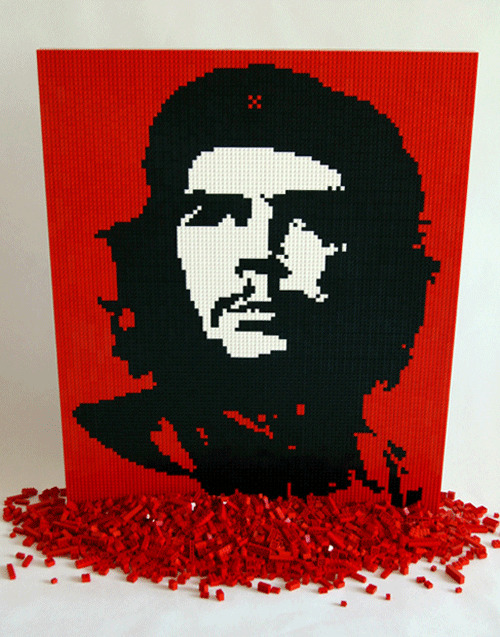 A lego art made in tribute to the famous Argentine Marxist revolutionary, physician, author, intellectual and guerrilla leader Che Guevara. Inspired by world’s biggest dance event ‘Love Parade’. 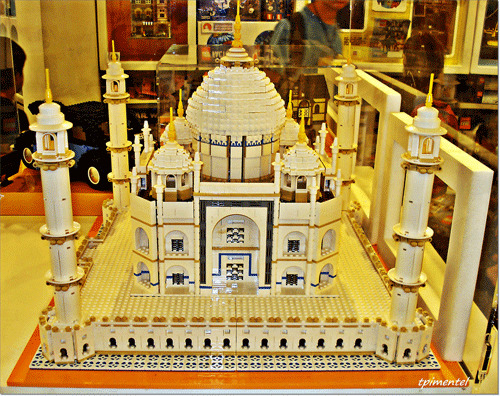 A lego art inspired by one most recognizable structures in the world ‘Taj Mahal’. 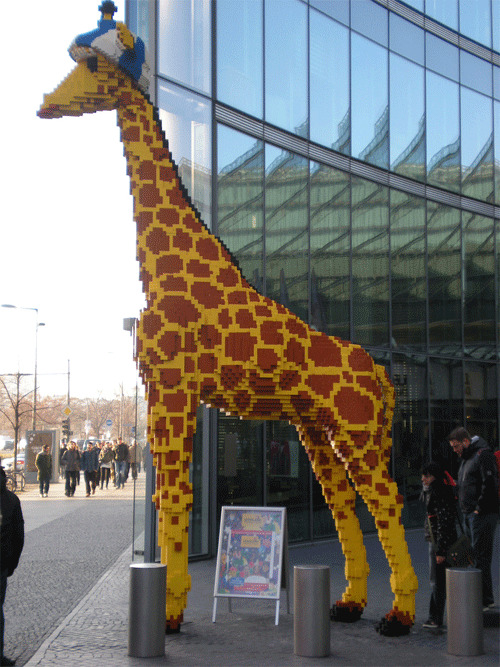 A life-size structure of a giraffe made from lego bricks. 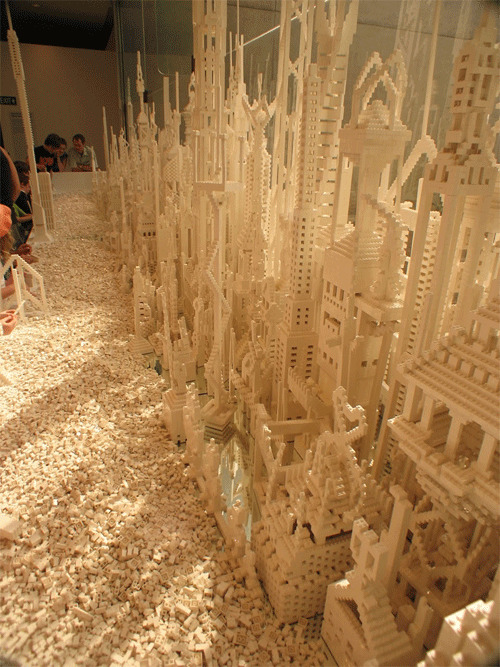 A city made from thousands of lego bricks. 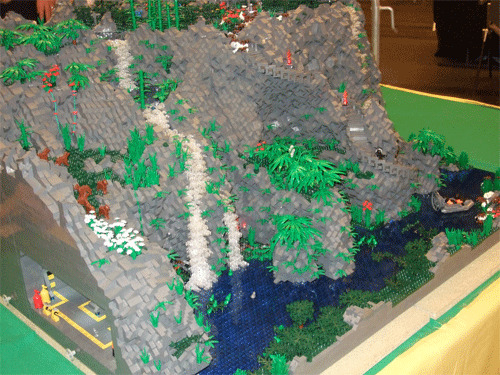 A lego art inspired a nice landscape of Harry’s home. 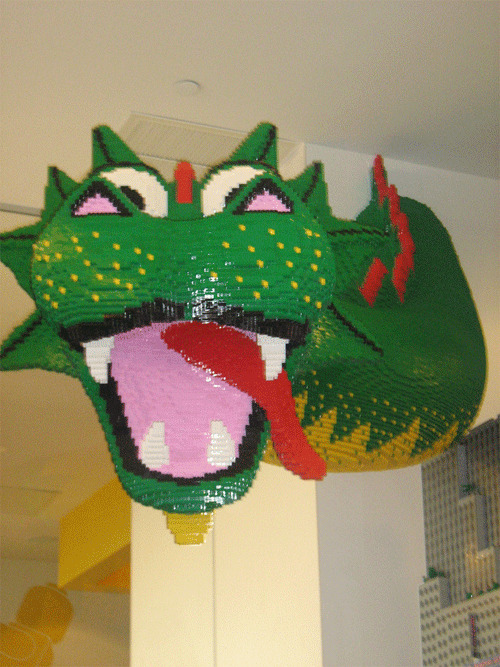 A lego art of a dragon. 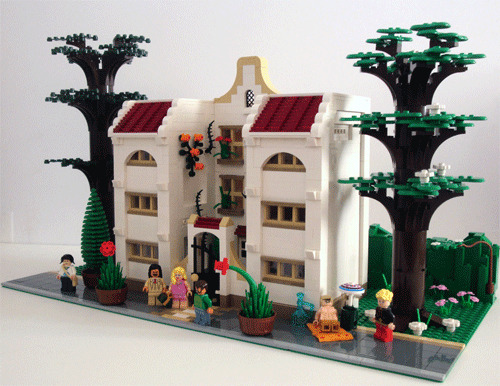 A lego art inspired by a Spanish Colonial Revival buildings constructed in the early 20th Century. Thousands of bricks made up this lego church. WOW those are extremely cool..
tremendous collection .. undeniably these are wholly cool !!!! Stunning list! thanks for the share! It’s unbelievably, i played with lego’s when i was kid, but didn’t know that you can made that amazing figures. 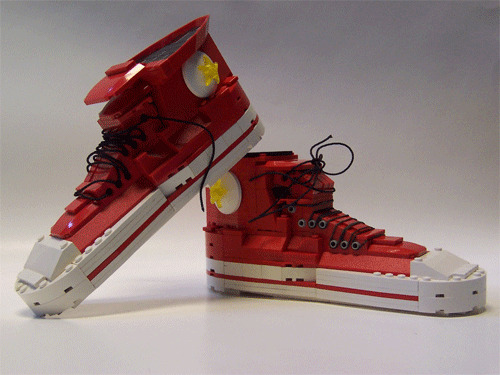 It is quit amazing what you can do with lego’s and these examples are great examples. Some of the examples are worthy of being in a museum. Really are works of art. Wow, whoever put this up must not know a lot about Lego. Half of this is fake or made by The Lego Group themseves.